If a luxurious sports sedan is what interests you the new Infiniti QX50 2016 is definitely created for you. This high power, tall heighted yet with luxurious interiors is definitely the eye ball gainer on streets. Standing ahead with its features and specs this model in particular is definitely a new bench mark for its competitors and is expected to invite more of bests so as to let its competitors survive in market. 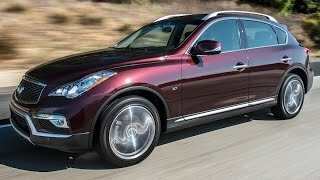 So let us not delay and see what this new tall heighted luxury statement, the all new Infiniti QX50 2016 review has for the street hunters. 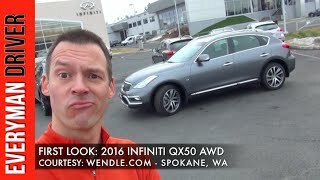 Well if you are looking for a driver focused crossovers in the market today, I believe the Infinity QX50 2016 is your destination. Formerly named as EX37 also make it one of least practical set of design in its competitive set, this tall heighted cross over with its lift gate design differs at this particular point with other of its class like, Cadillac SRX, Lexus RX 350 and Acura RDX. Though the fact can be denied that Infinity QX50 is indeed a tall vehicle built on a sports –sedan. It’s neither a luxury sedan nor a sports vehicle or call it a racing car but the cabin is so beautifully created, that it gives you the depth of any luxury car. The coupe like profile and organic sheet metal undoubtedly makes the QX 50 one of the best looking tall wagons till date, unmatched with the upholding flag of its performance and style. Before going more deep into the technical specifications of this newly introduced phantom, let us have a brief look at the key points. 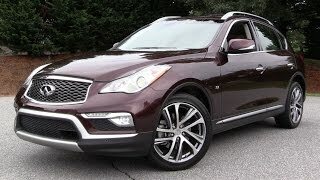 Now that we are done with the brief, precisely a point wise specification of Infinity QX 50, let us sneak into deeper part and see what it holds for the car lovers, with its interior and exterior and yes not to be forgotten the performance of Infinity QX50. The sports sedan has a luxurious interior and holds all capability to make you feel like any other luxury sedan in the price range. The seats though aren’t much spacious but might be the LCD in front wont allow you to get to that negative point. 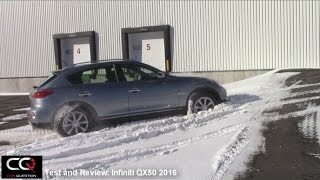 While as for the crossovers talking about its competitors like Acura and from brands like BMW and Mercedes, Infinity QX 50 is no where behind. Passengers at rear seat are also accompanied by the secondary controls, which indeed will break the hurdle and botheration while travelling for the rear fellows. I personally wont call it bad as the bright colors and those Flemish designs aren’t part of its interior. In all with such a price range the interior is definitely a key aspect of this crossover sedan. The size and other features making its exterior are none the less same to its competitors like Audi Q5 and BMW X3. So again at this point too it doesn’t remains behind, well not to be sidelined it isn’t taking the march ahead as well. Though being an exact carryover of the ancestor 2006 year models this one takes a leap ahead by resembling more to a sports vehicle and not a cross over by its exterior looks. SO by now talking about the whole of exterior all you can presume is, you won’t have anything more advanced but yes this indeed is a better option to go for. The 3.7 liter V6 Engine produces 325 horsepower and 267 pound feet torque which doesn’t keeps it short of power. The paddle shifted automatic seven speed transmission well manages the power upon down shift. 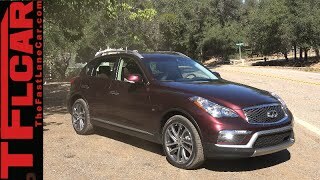 The Infinity QX 50 performance holds most distinct features which normally are hard to find in this segment. The only part where it lacks since years is the noise of engine in the cabin. The noise doesn’t only knocks and sustains when you are accelerating but just the turned on Engine is enough to let that sound in, this infact is a negative point which must not have been in a luxury vehicle. Rest with all points this sports sedan is a good option to go with, looking at others in this segment. This was all for now that we had in our diesel station box to share with you, but before signing off we would say for the last. If you are looking for a sports sedan, this is no where a bad option, let that then be the price or the performance.